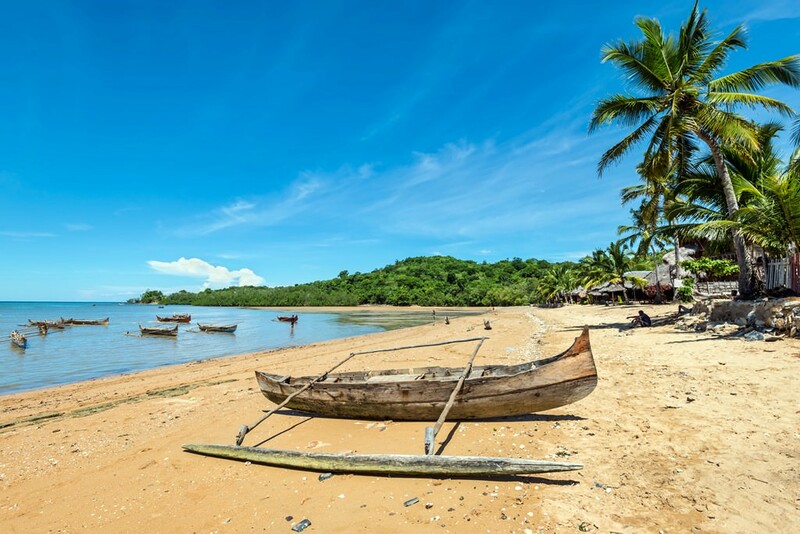 A beautiful island, Madagascar attracts visitors with its unforgettable nature, dense forests, clean lakes and spectacular waterfalls, many species of rare birds and animals, and shockingly amazing butterflies. From the historic point of view, the city of Mahajanga is the most interesting destination in Madagascar. There are several important landmarks in the old part of the city, such as several buildings of the colonial period, mosques and trading squares. The Rova Fortress, which is located on a hill, is also worth attention of travellers. Long time ago the fortress-palace belonged to the royal family, but now it’s possible to see only several towers and a segment of a protective wall. Madagascar is famous for its magnificent waterfalls, the highest of which is the cascade of the Sakaleona River. The height of this waterfall is 200 metres. Several beautiful waterfalls can be seen in Montagne d'Ambre (Amber Mountain) National Park. However, the Dead Lake remains the biggest attraction of the island. 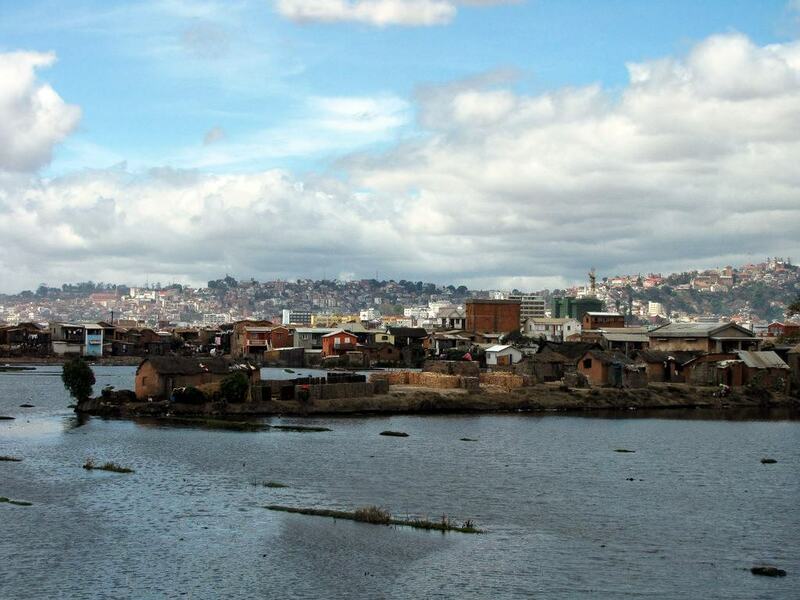 The lake is located among high rocks in the vicinity of Antsirabe. Quite an interesting fact – the lake is completely uninhabited despite the fact that its parameters and the temperature of water should perfectly fit the majority of local fish and seaweed. There are many legends connected with the lake. For example, locals say that no one can cross the lake by swimming even though the size of the lake is quite modest – 100 x 50 m.
There are some cultural facilities on Madagascar. The Hiragasy national theatre may be the most famous one. Every day this portable theatre moves across the island, visiting the majority of town and villages. During their stops, musicians and dancers entertain locals and tourists. There are special performances for children and fascinating acrobatic shows. Despite the fact that the majority of locals follow their local tribal religions, there is a church of Jesus Christ on the island. Surrounded by palms and tropic bushes, the sanctuary looks quite unusual. Travellers are also welcome to visit numerous nature parks of Madagascar. The most famous ones are Ranomafana National Park, Perinet Natural Reserve, Tsingy de Bemaraha and Isalo National Park. 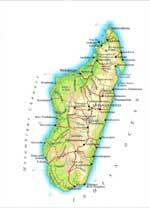 Madagascar started being settled in the early Middle Ages. The Malagasy tribes lived here. They maintained trade relations with Arabs and borrowed a lot of cultural and national traditions from them. At the beginning of the 16th century, the island was visited by Portuguese navigators but the colonial period did not begin then. When Frenchmen reached the island at the end of the 19th century, there had been the large Kingdom of Imerina formed by aborigines. For a few years, the European colonizers conquered the natives. In 1897, Madagascar officially became a French colony. The important historical period for the island was the Second World War. At that time, it had been occupied by British troops for three years. When the war came to an end in 1958, Madagascar became partially autonomous. Then, in 1960, it gained the complete independence from France. Over the recent years, Madagascar has become very popular with fans of exotics. They come here for new impressions and an incomparable sightseeing program. On the island, there are no luxurious hotels and world-class service but this is compensated by multiple unique attractions and the friendly natives. 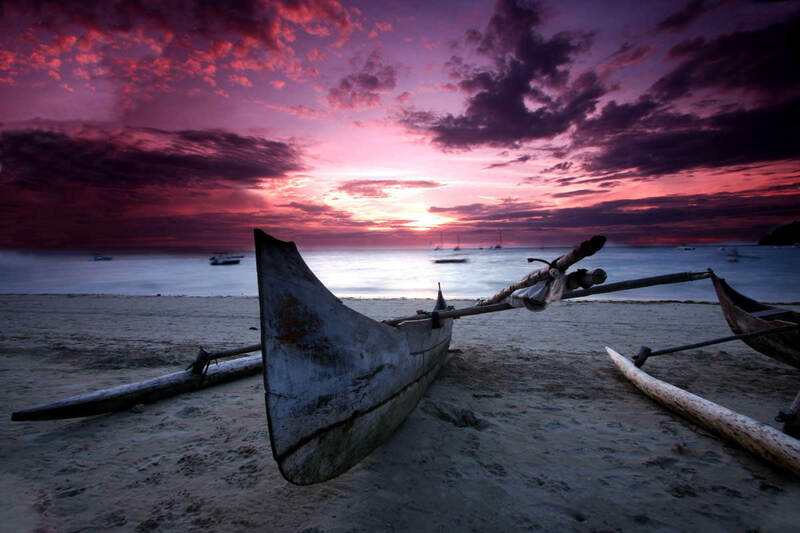 One of the most popular entertainments is learning about the natives’ culture and lifestyle. Tourists are offered to visit small villages where the way of living has not changed already for several hundred years. Here, you can taste national rice and seafood dishes and buy interesting items from local craftsmen. Some of the most popular souvenirs are picturesque fabrics painted manually by local masters. On the island, the wine production is well-developed. Many wineries were opened here in the times of the French colonization. Nowadays, connoisseurs of exquisite wines and stronger alcohol can take special themed tours, during which they can visit the most famous wineries and taste the best drinks. 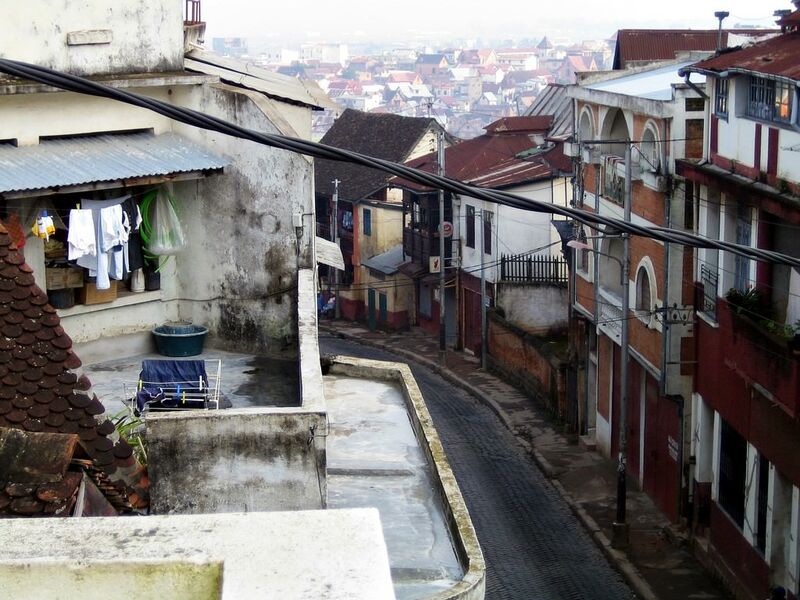 Unique weather conditions also make Madagascar attractive for travelers. Despite its location, there is no rainy season on the island, so you can boldly vacation here at any time of the year. 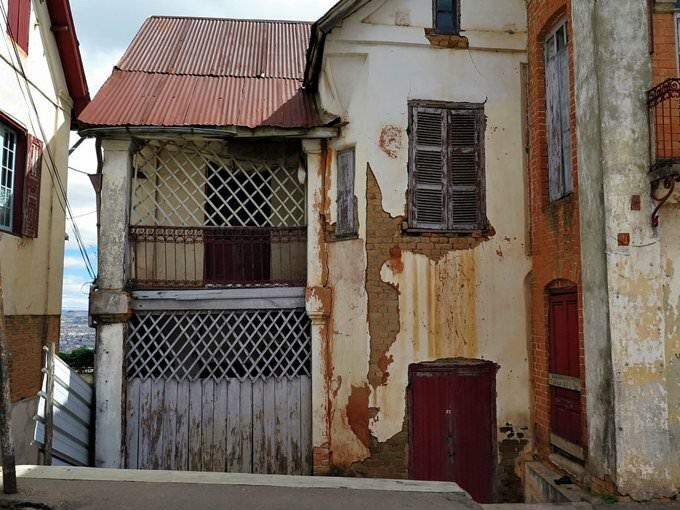 This article about iconic landmarks and sights of Madagascar is protected by the copyright law. You can re-use the content, but only under the condition of placement of an active link to www.orangesmile.com. The island of Madagascar also has amazing and unusual places that will allow to enjoy the unique atmosphere. An excellent example is the Avenue of the Baobabs. That’s a unique natural landmark. Every traveler should see it. Once, the island of Madagascar was completely covered by dense tropical forests. The arrival of people changed its appearance significantly. A scenic walkway framed by 800-year-old baobabs is the only place that is reminiscent of the once dominant nature. The height of these majestic trees is about 30 meters. 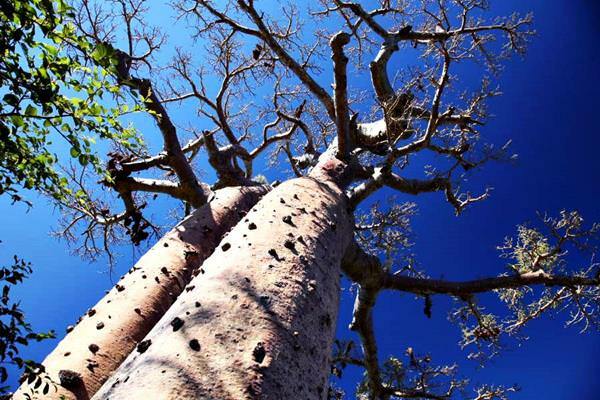 A few dozen of ancient baobabs remained on the island. For hundreds of years, locals carefully cut down trees to free the lands for agriculture. The island of Madagascar houses Andohahela National Park that may be called one of the most beautiful places in the world. Rare endemic plants are growing there. 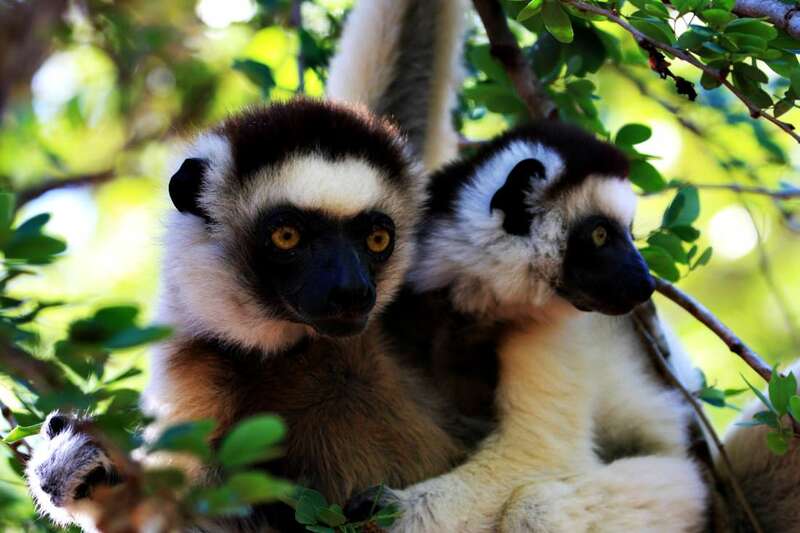 The park territory is home to 12 species of lemurs, as well as more than 120 species of birds. For many years, the park has attracted researchers from different countries, as well as usual nature lovers, but the last years visiting it is considered to be extremely dangerous. Nosy Be is the largest island of the archipelago of the same name and is considered an expensive spa town of Madagascar. The exotic island is the location of a lot of luxury hotels, expensive restaurants, nightclubs and shops. For many years now the world famous celebrities Nosy Be have chosen for the rest. Despite the rapid development of travel and entertainment infrastructure, the exotic island has maintained the most important - the natural harmony and the quiet atmosphere.